Professor of Political Science, Political Analyst, Commentator and Author of Dollar Democracy: with Liberty and Justice for Some; How to Reclaim the American Dream for All.Peter will present his perspective on the TPP and why fast track authority is so controversial. Prior to Peter’s discussion, members will vote to ratify the board’s selection of board members to fill two officer positions - President and Recording Secretary. According to our bylaws you must be a dues-paying member for (60) days prior to business for action to be taken. It is with sincere regret that we announce that Westchester-Playa Democratic Club President, Robert Schurtz, has tendered his resignation from the Westchester-Playa Democratic Club’s Board of Directors. Robert has been an instrumental force in shaping our club in the previous months and in setting up the foundations for our WPDC committees. We thank Robert for his countless hours of selfless dedication to the democratic party, his passion for our shared progressive values, and leadership for our club. Following the ratification vote, join us for what is sure to be a most exciting, incredibly informative and engaging meeting on a divisive issue within the Democratic Party and our nation - the Trans Pacific Partnership. 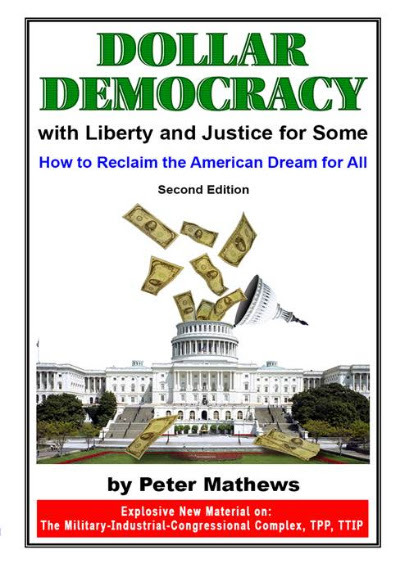 About Peter: Peter Matthews life’s work involves educating the public on accurate facts and progressive ideas in order to create and expand equal opportunities in America and the world. This has driven his quest for economic and social justice through the media and his work in the community. Peter Matthews is a full-time Professor of Political Science at Cypress College and an Adjunct Professor of Sociology at Long Beach City College. He is currently guest host on KPFK radio 90.7 DM and Poltiical Analyst on KFI raditio AM 640 Sunday Morning News. He has been a Political Analyst on KNBC-TV, KCBS-TV, KTLA-TV, and other radio and TV stations. Officer Ratification meeting and TPP – Moving Forward on Trade? * At the request of LAFD, please no parking on the LAFD Station property(handicapped parking is permitted). Please park on Emerson in front of the station or outside of the gates or on W 88th Place. We look forward to seeing you at this important Officer Ratification and Moving Forward on Trade meeting!